Free version too popular to make money? The truth behind Spotify's financial status has been revealed by a key music exec, who believes that the free version service may be too popular in the UK for it to make money from subscriptions. Speaking at an event in conjunction with the publication of the IFPI's (International Federation of the Phonographic Industry) digital music report, Rob Wells, Senior Vice-President Digital for Universal Music Group International, praised the service for its "sustainable financial model" but did highlight issues it was having in the UK, noting it was here and in Spain where it was "lagging behind" when it comes to the way it pays record companies. "In all its territories bar two [the UK and Spain], Spotify pays the labels from a mixture of the money it generates from advertising revenues and subscriptions. That to me equates to a sustainable business model," Wells explained. The problem with the UK and Spain is that the lack of subscribers means that music companies are being paid per song listened to instead of from an advert and subscription money pot. This means a decidedly smaller revenue stream. Wells also revealed that it doesn't take a massive percentage of people to subscribe to make enough money to pay for the music – around 10 or 12 per cent per territory, but it is unclear how far behind the UK is from reaching that figure. 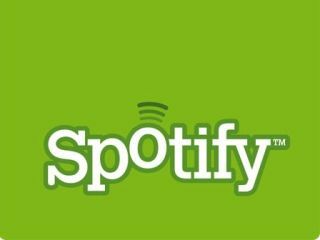 The IFPI report today does show that Spotify has its work cut out in maintaining a user base, as there are now 400 services licensed worldwide by music companies with ISPs, mobile and other partners. It makes sense that the record industry becomes part of the myriad music streaming sites out there – but more services on offer does mean that the likes of Spotify and Sky Songs will have to try that little bit harder to entice music listeners to their service.